There is so much choice when it comes to concrete. Some people mix it themselves or get bagged concrete and add water for smaller jobs, alternatively you can buy concrete in a conventional drum mixer. With so many choices Concrete4U works hard to offer a tailor made and unique service compared to other concrete companies in Harrogate. With the ability to mix on site in mobile batch plants Concrete4U offers customers a service that enables them to take exactly what they need on the day without any mess or wasted materials. 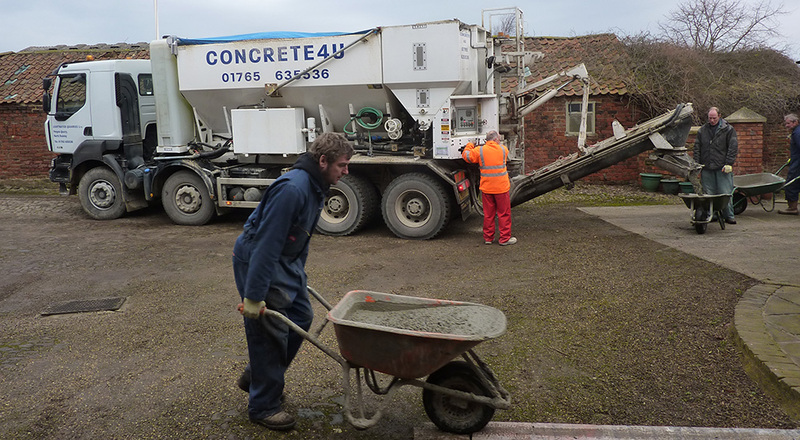 The mix on site wagons (volumetric) mix concrete as they go to the nearest wheel barrow full saving time, space on site and guaranteeing that our customers get exactly what the need. At Concrete4U we have 3 mix on site wagons (Volumetric) and 1 conventional mini-mix drum for sights where access is restricted. The drum is also bespoke and in keeping with our philosophy of ‘only pay for what you use’ as the drum is mounted on a weighing platform to enable us to weigh of the pre-mixed concrete for our customers, just another way of ensuring they get exactly what the need with no mess and no waste! 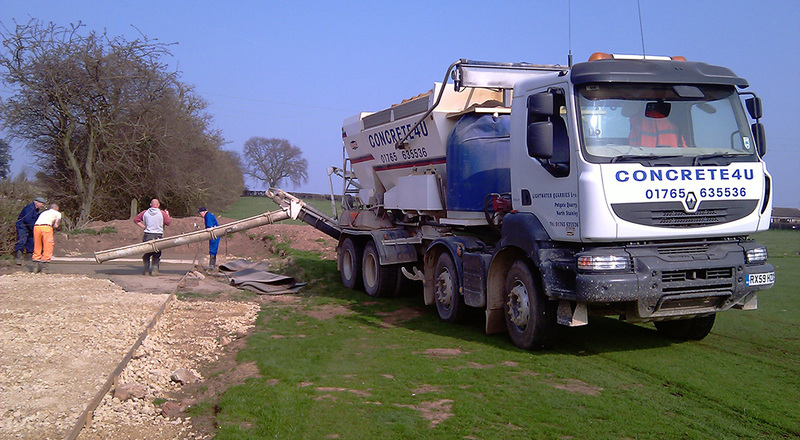 As a family owned business service and quality are our highest priorities so if you are looking for concrete companies in Harrogate then look no further than concrete4U. Get in touch, fill in the contact form below and we will get back to you.